My Watermelon Moon: Inspiration team SVG Attic! Hello! I'm Melissa Lind of My Watermelon Moon. I live in beautiful San Diego, California with my beautiful family. I am a paper crafting addict who doesn't get enough time to work on it. I'm sure many of you can relate! I am the mother of a 14 year old daughter and 12 year old son. I just celebrated my 15th wedding anniversary with the love of my life who supports my crazy passions. That's true love! I like to make cards and scrap book pages, but I LOVE to make the 3D paper crafts. They are definitely my favorite. I love to make pretty boxes to put gifts in, they always get the biggest smiles. 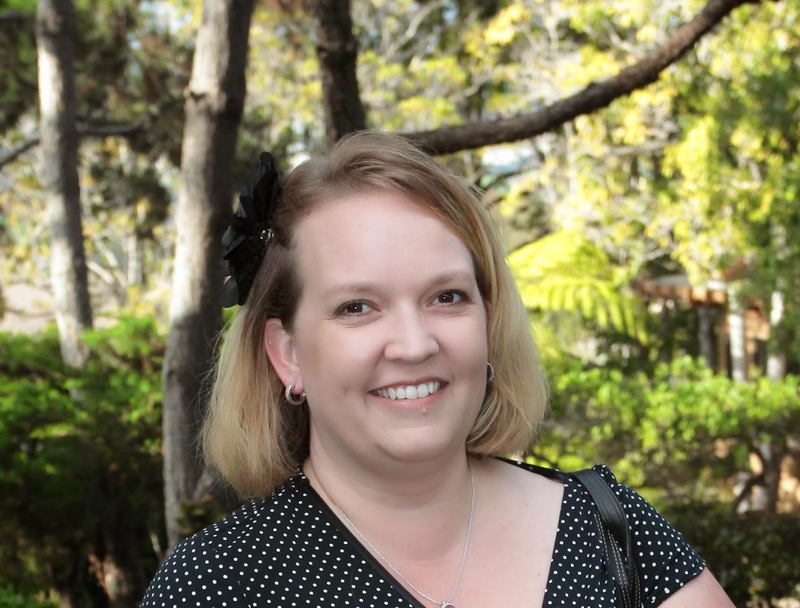 In addition to paper crafting, I also love to cook, bake, read and my recent passion has been genealogy. I am lucky and have two grandmothers with lots of information and stories to tell and I love the thrill of the "hunt" to gather more information about our families roots. Places I have lived: Chicago & San Diego. Basically really only San Diego, and while I love visiting other places, I never want to leave home! Style: While I appreciate lots of different styles, I usually gravitate toward clean, simple, elegant designs. Although I am trying to break that habit and try to expand as an artist. Favorite Project: Oh, that's a tough one. I am so excited about each project, they are all my favorites! 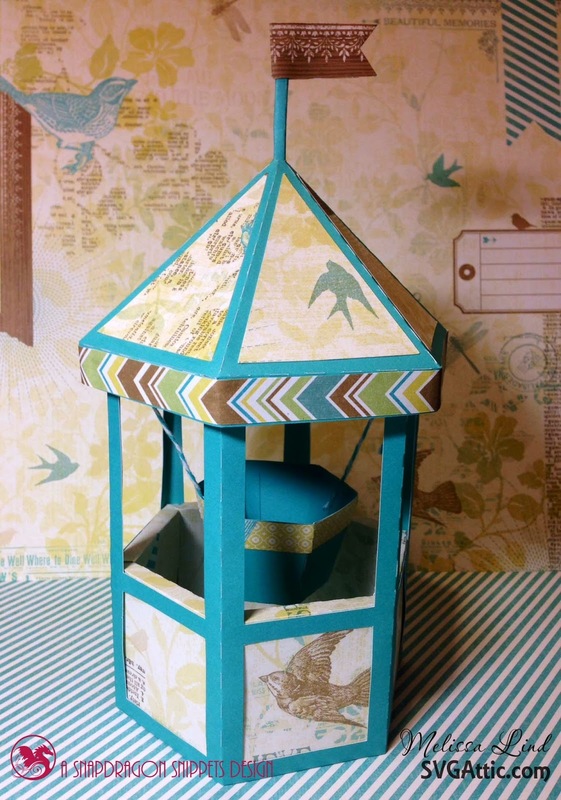 To share today I made the well in the Make a Wish kit at SVG Attic. I love this paper and I like how the project shows it off so well. I also really love the wishing well, there is some thing magical about them :). I really look forward to sharing projects and getting to know all of you and I am so glad to be part of the team! Thank you for letting me share with you and have a fantastic day! Love your wishing well, Melissa!